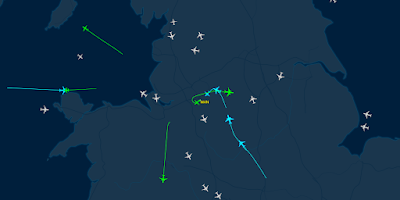 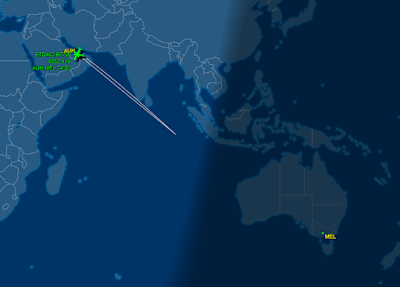 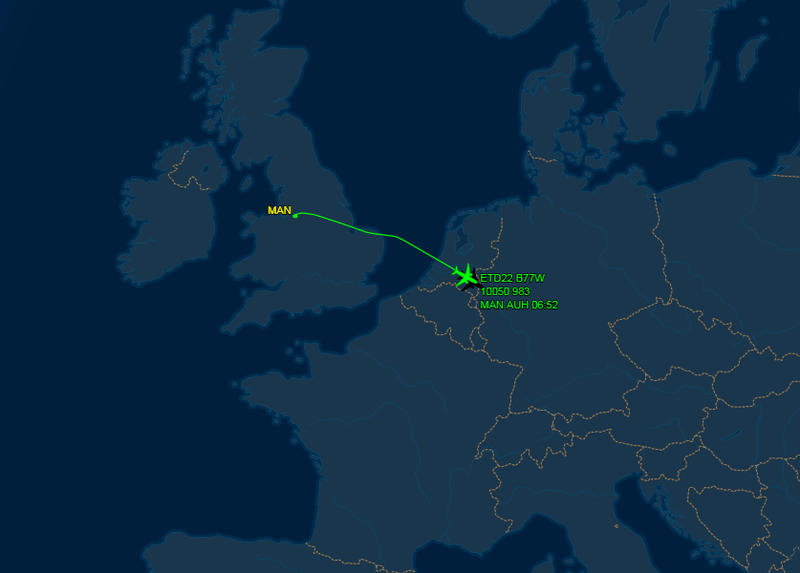 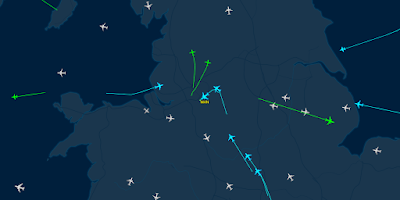 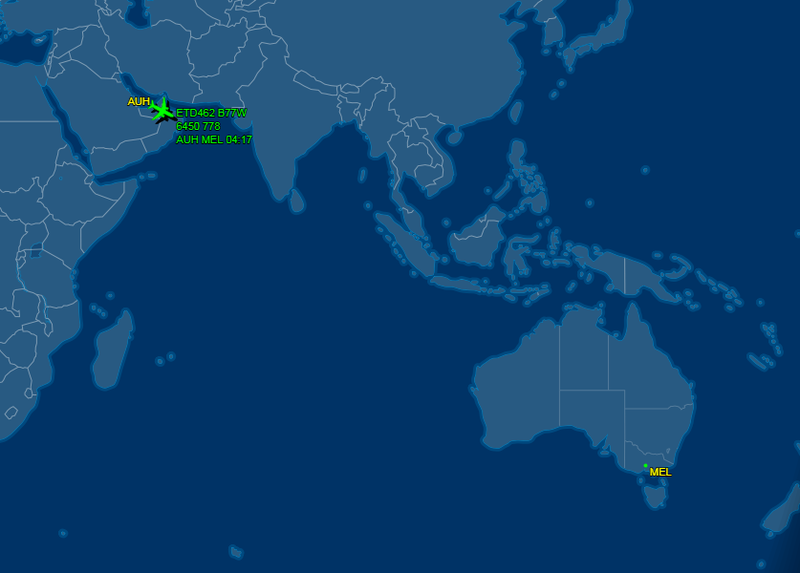 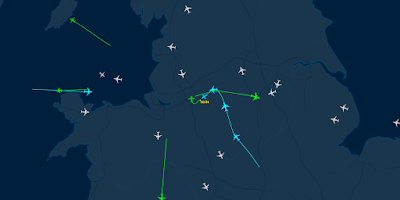 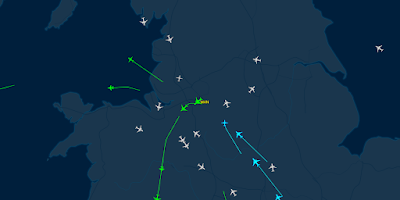 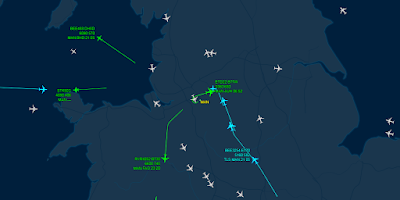 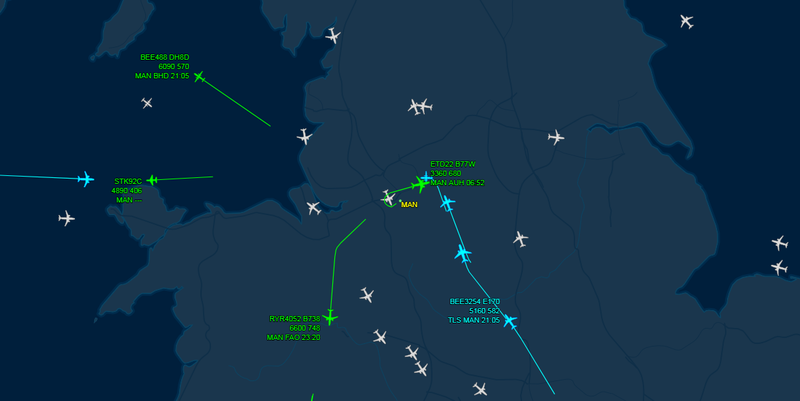 Dec is flying from Manchester U.K.
Globally, the skies are so busy. 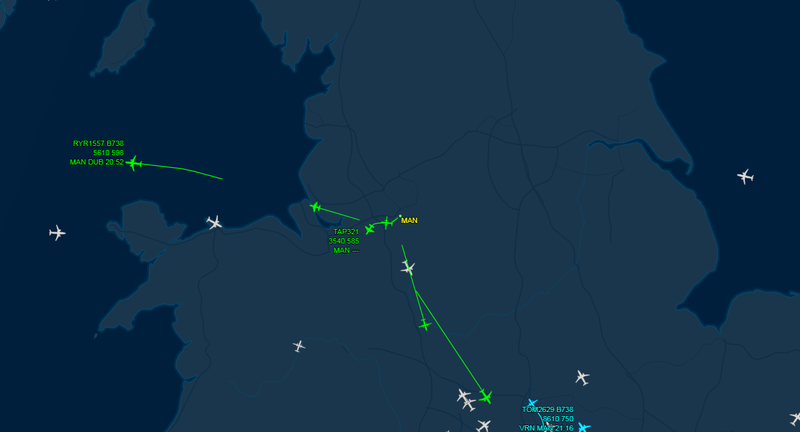 Manchester Airport is not so busy tonight. 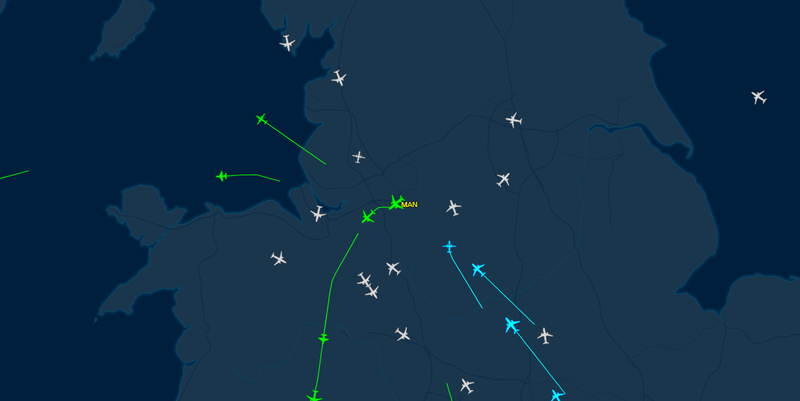 Take Off ! 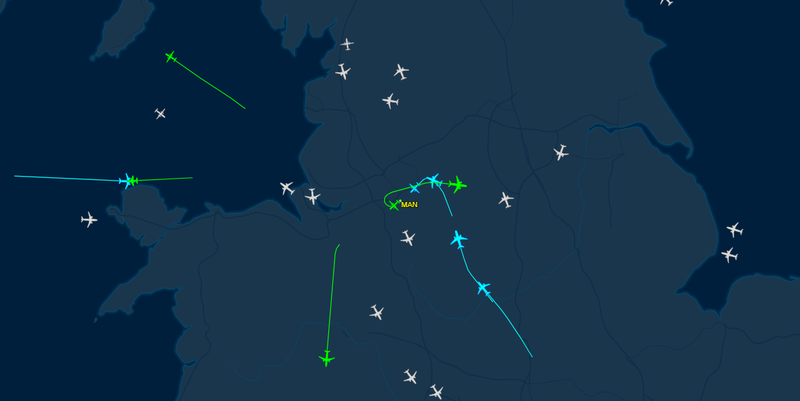 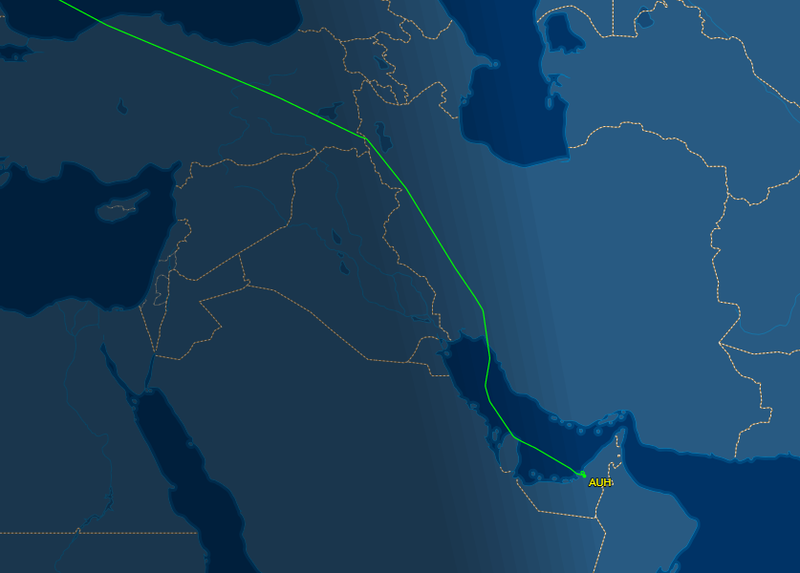 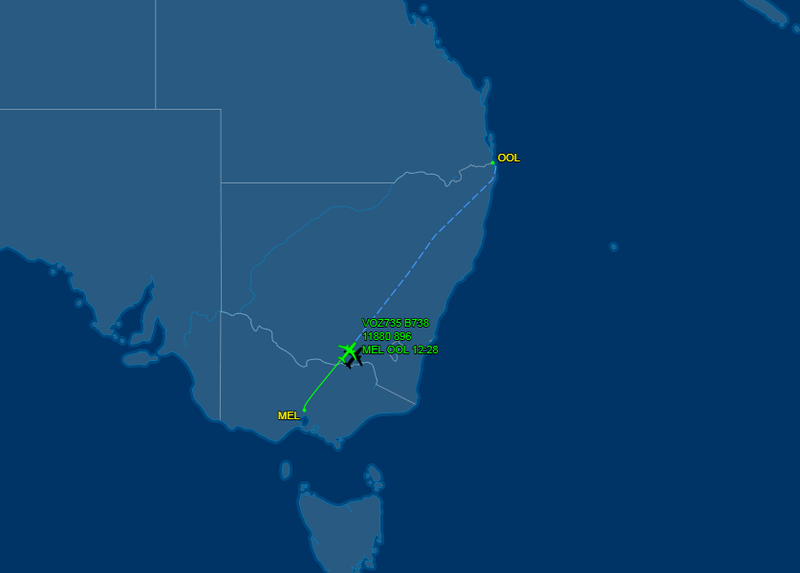 Etihad EY22 has just taken off. 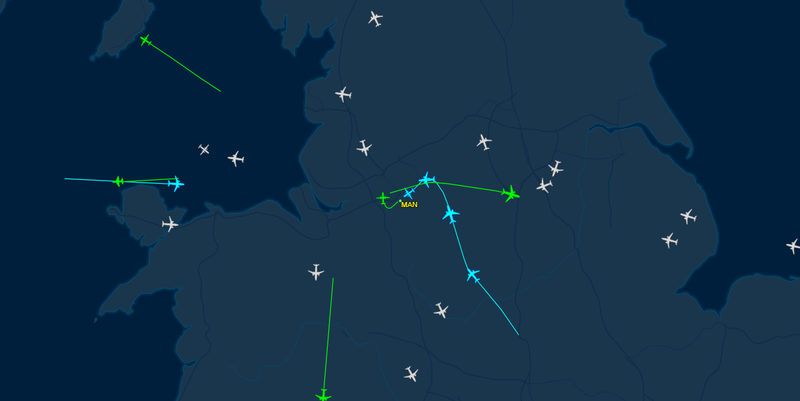 It's marked over ManAirport. 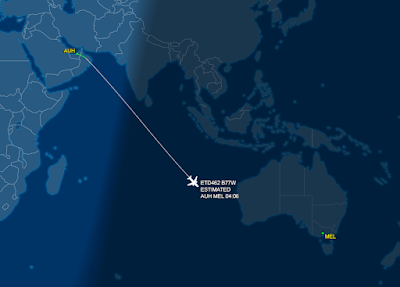 Jetting off to Abu Dhabi. for his connecting flight to the Gold Coast. 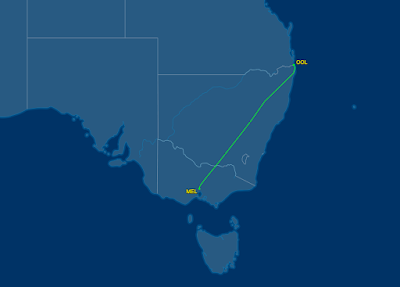 Welcome back to Oz, Dec.